How Can the Internet of Things Help Your Business? 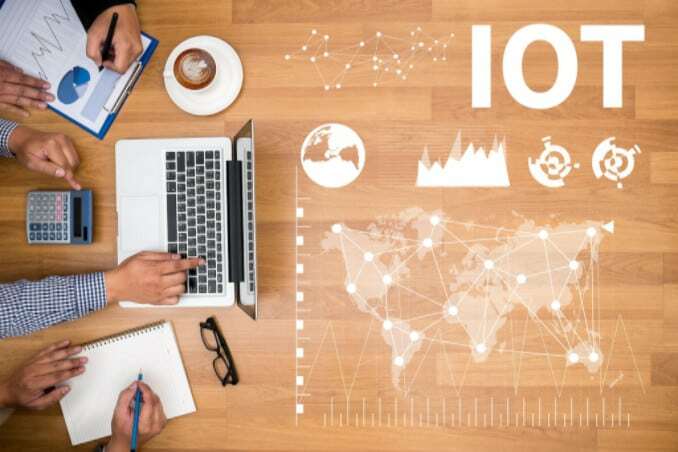 The IoT revolution is changing the way businesses track and leverage data. How much can your company benefit from enterprise integration? Whether you think the “internet of things” is an IT miracle or an precursor to the machine takeover, you must admit that it is inevitable at this point. According to Gartner, over 6.4 billion devices are connected to the internet for common use as of 2017. Experts are also expecting this number double by the end of 2020. Over the next three years, a revolution will be seen in how our lives can be lived. Moreover, the internet of things (IoT) will drastically affect our operations and management of businesses - and, in fact, already is. The good news is this change is not necessarily a bad thing. In fact, businesses who jump onboard quickly stand to gain a tremendous advantage in the market. Let’s see how the Internet of Things can help your business. With IoT in place, many processes will be optimized to work faster. Interconnected devices can have the inclusion of everything from cars and traffic lights to the transportation system. You will have the capability to communicate with your employees using a minimal amount of time. For the organization, this impact means faster delivery. This is essential in the modern day as customers and partners expect their demands to be met faster. The growth of IoT devices will open a floodgate for more data management than we can even imagine, and this data needs to be tracked. Moreover, you will also need to learn about the metrics of consumer behavior using this data. You will also be forced to learn more about your employees, customers and your business. While this is a world of information, you must have the capability and preparedness to handle the visual software and data analysis. In the current trend, companies rely on the barcode system to manage inventory. However, products can be integrated into the system and network together with all company devices. Tracking and inventory management will be intuitive; therefore, you don’t have to think about them. With everything at your disposal, you can tap into any resource or device at any time. Energy is also expected to grow cheaper with the smart grid coordination. Your machines will also have an increased capability to operate more smoothly. For this reason, maintenance routines will be easier to conduct. For this reason, less money will be used by the business or company to expand their inventory. For this reason, many costs will decrease. Thanks to the readily-portable devices and the cloud-hosted software, remote work is now an option for many professionals across countless industries. With IoT becoming more common, it will increase the ease of managing devices remotely on a network. Given an internet connection and one tablet, you can manage the store and production line effectively from virtually any location around the world. It is a general rule that the business productivity levels will increase manifold with the low expenses. The cost of operating a business can be steep initially. However, with IoT you may end up paying less for production and the team that does the production in the business. For this reason, producing more products will become a necessity and capability. These new technologies will counter the efficiency challenges in businesses. The Internet of Things is progressing rapidly, which is why you should not delay in bringing your business into the 21st century. While should become proactive in preparing for the future, it is important to proceed with moderation so that you fully benefit from technology innovations. Partnering with a skilled enterprise integrator like Ad Victoriam Solutions can result in immeasurable benefits to your business now and in the long-term. Want to learn more about how your business can benefit from IoT solutions? Contact us for a personalized, detailed strategic plan. Salesforce, Sales Cloud, and others are trademarks of Salesforce.com, Inc. and are used here with permission. © 2019 Ad Victoriam Solutions All rights reserved.